Having been oppressed by a professional army, the founding fathers of the United States had no use for establishing one of their own. Instead, they decided that an armed citizenry makes the best army of all. General George Washington created regulation for the aforementioned "well-regulated militia," which would consist of every able-bodied man in the country. The Second Amendment holds the distinction of being the only amendment to the Bill of Rights that essentially goes unenforced. The U.S. Supreme Court has never struck down any piece of legislation on Second Amendment grounds, in part because justices have disagreed on whether the amendment is intended to protect the right to bear arms as an individual right, or as a component of the "well-regulated militia." 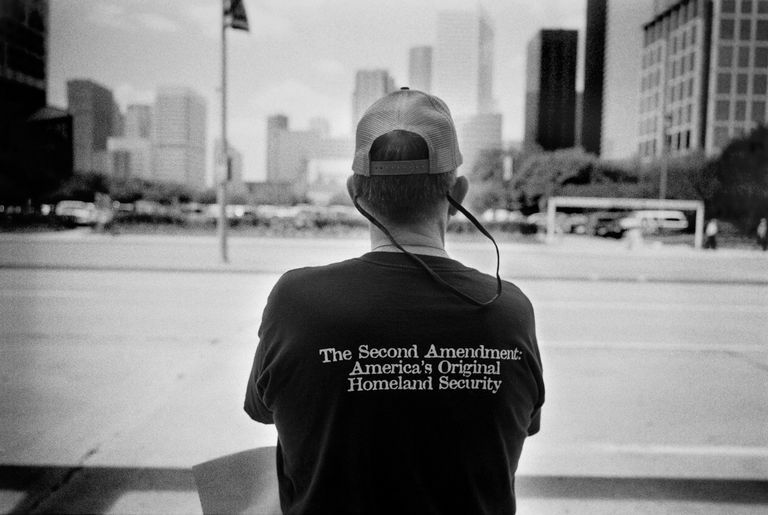 There are three predominant interpretations of the Second Amendment. The civilian militia interpretation, which holds that the Second Amendment is no longer valid, having been intended to protect a militia system that is no longer in place. The individual rights interpretation, which holds that the individual right to bear arms is a basic right on the same order as the right to free speech. The median interpretation, which holds that the Second Amendment does protect an individual right to bear arms but is restricted by the militia language in some way. The only Supreme Court ruling in U.S. history that has focused primarily on the issue of what the Second Amendment really means is U.S. v. Miller (1939), which is also the last time the Court examined the amendment in any serious way. In Miller, the Court affirmed a median interpretation holding that the Second Amendment protects an individual right to bear arms, but only if the arms in question are those that would be useful as part of a citizen militia. Or maybe not; interpretations vary, partly because Miller is not an exceptionally well-written ruling. In Parker v. District of Columbia (March 2007), the D.C. Circuit Court of Appeals overturned Washington, D.C.'s handgun ban on grounds that it violates the Second Amendment's guarantee of an individual right to bear arms. The case is being appealed to the U.S. Supreme Court in District of Columbia v. Heller, which may soon address the meaning of the Second Amendment. Almost any standard would be an improvement over Miller. This article contains a more detailed discussion of whether the Second Amendment guarantees the right to bear arms.